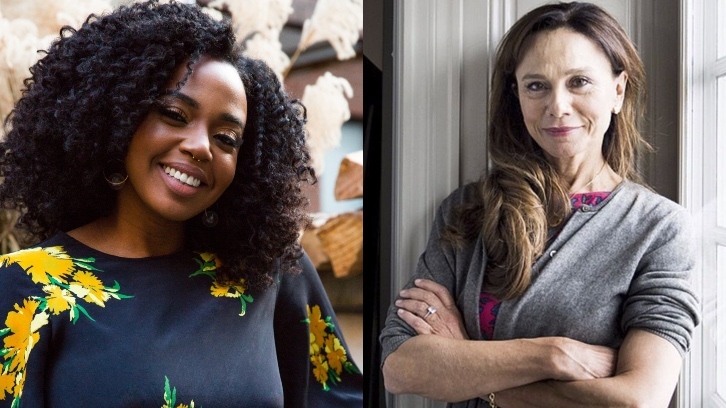 Jerrika Hinton (Grey's Anatomy, Here and Now) and Lena Olin (Alias, Riviera, Welcome to Sweden) are nearing deals to join the cast of Amazon's The Hunt, a Nazi hunter series from Jordan Peele (Get Out, Us) per Collider's exclusive which Deadline confirmed. Inspired by real-life events, the series based on an original idea takes place in 1977 and revolves around a group of Nazi hunters living in New York City. The Hunters, as they're known, have discovered that hundreds of high ranking Nazi officials are living among us and conspiring to create a Fourth Reich in the U.S. The eclectic team of Hunters will set out on a bloody quest to bring the Nazis to justice and thwart their new genocidal plans. Hinton is nearing a deal to play the female lead per Collider, Millie Malone, an in-your-face FBI agent who's marginalized in the Bureau because of her race and gender. Olin is in final talks to play a Nazi. The 10-episode drama is being written by David Weil (Moonfall) and produced by Jordan Peele's Monkeypaw Productions and Sonar Entertainment. Hinton and Olin will join Al Pacino and Logan Lerman in Amazon drama series. Additionally, Collider also mentions Dylan Baker (I'm Dying Up Here, Blindspot, Homeland), Greg Austin (BBC's Class, Mr. Selfridge), Catherine Tate (Doctor Who), Tiffany Boone (The Chi, The Following), Saul Rubinek (The Last Tycoon, Warehouse 13) and Carol Kane (Unbreakable Kimmy Schmidt, Gotham) are in various various stages of negotiations to join the cast. I'll make additional posts when/if those are confirmed by Amazon but Collider is pretty reliable with castings. Baker is in talks to play Biff Simpson, a Waspy politician and family man hiding a dark secret. Austin is set to play Travis Leich, a young man eager to serve the murderous Nazi cause. Tate is being eyed to play a nun. Finally, Rubinek and Kane are set to play a Hasidic couple named Murray and Mindy Markowitz.